Don’t miss Google@Middlebury events throughout October 4-5, 2015. 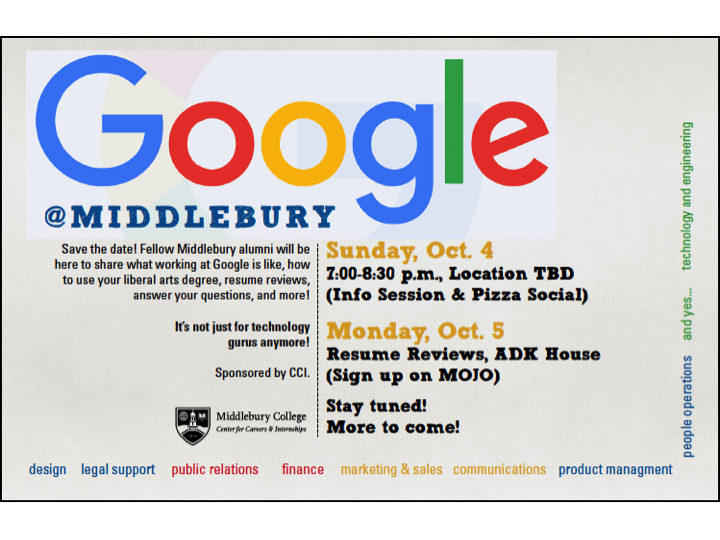 Sign up on MOJO (Info Sessions) for one-on-one reviews of your resume with Middlebury alums from over six different functional areas at Google. Don’t let the word “technology” wig you out–see all that they have to offer our liberal arts student! !